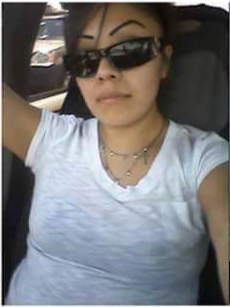 Farmington, NM – The Farmington Police Department is seeking information on the disappearance of Melanie James. James was last seen by her sister on Sunday, April 20, 2014 walking on Butler Avenue near McKinley Elementary School with an African American male. James’ sister did not recognize the male who was with her. By the time her sister was able to turn her vehicle around, James was gone. Family has not seen or heard from her since. Family and friends would sometimes go days or even weeks without hearing from James, but by June it had been close to two months since anyone heard from her, which was out of character to go that long without phone contact. James’ mother called the Farmington Police Department on June 12, 2014 to report her daughter as a missing person. It’s been nearly five years since anyone has seen or heard from James. Detectives followed up on tips and conducted interviews, but nothing led them to her. Over the years, leads in the case have been sporadic and investigative leads have been exhausted. The Farmington Police Department is reviewing this case again to determine if there are any other investigative avenues to follow. 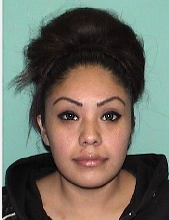 Anyone with information regarding the whereabouts of Melanie James is urged to contact Detective Heather Chavez at (505) 566-2370 or non-emergency dispatch at (505) 334-6622. 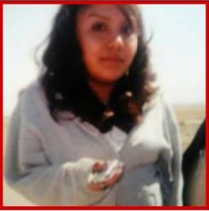 Anonymous tips may be submitted through the Farmington Police Department Detective Tip Hotline at (505) 599-1068. 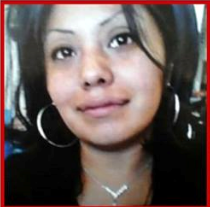 The family of Melanie James is holding a community prayer vigil for Melanie and all the missing and murdered indigenous women and men on Saturday, April 20, 2019 from 1:00 to 3:00 p.m. at Orchard Park located at 105 N. Orchard in Farmington.